This blog contains the History of The Willard Asylum for the Insane (Willard State Hospital), Former New York State Insane Asylums (State Hospitals), Custodial Institutions, County Poor Houses, and Mental Illness of the 19th Century. Current Information on Anonymous Graves, Historical Articles, Laws, Eugenics, Patient Names, and Helpful Links Abound! The Blog is an Extension of My Book and Was Created for Descendants of Former Patients, Genealogy Geeks, and History Buffs. Hopefully, This Blog Will Make People Aware of the Thousands of People Who Were Buried in Anonymous Graves in Former New York State Hospital & Custodial Institution Cemeteries. The Book and Blog Have Been Researched, Written, and Developed by Linda S. Stuhler. This blog has 11 PAGE TABS (located at the top of each page), 213 POSTS and many PDF files. PLEASE CLICK ON THE RED & BLUE LINKS. I started this blog on July 10, 2011, thinking that maybe 5 people would actually read it and find the posts interesting. 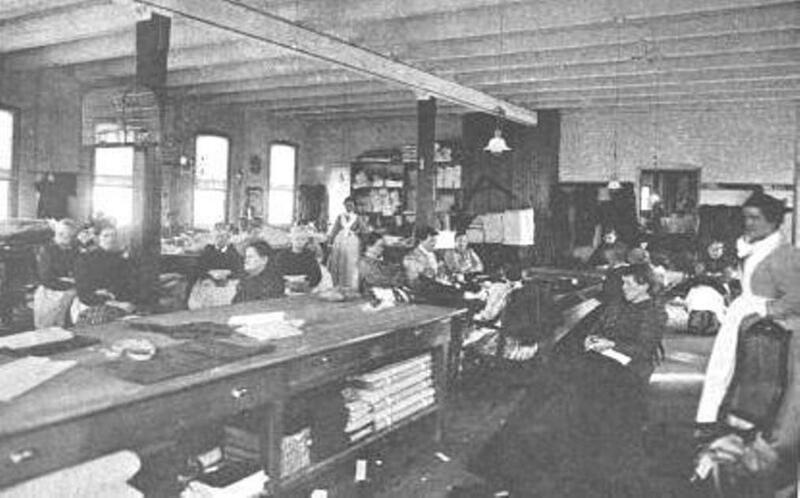 I self-published The Inmates of Willard 1870 to 1900: A Genealogy Resource, on December 17, 2011, with my own money, to further the cause of restoring dignity to the forgotten people who lived and died at New York State Hospitals (Insane Asylums), who had been buried on New York State property in anonymous, unmarked cemeteries and graves for over a century. New York State Senate Bill S840A-2015 became a law on August 18, 2016, but it did not include provisions for a searchable online database available to the public as New York State lawmakers and the Office of Mental Health believed that if they did so, they would be sued. I believe that the New York State Office of Mental Health did not want to disclose the names of deceased patients because the burial ledgers may have been stolen, carelessly lost or destroyed. They would also have to explain why these cemeteries had never been marked in over 150 years, why they fell into such a state of neglect and disrepair in the first place, and why Kings Park State Hospital Cemetery is being used as a youth baseball field. The following states took a different approach and put searchable databases on the internet available to the public: Kansas; Minnesota; Nebraska; Ohio; Texas; Maryland; Florida; Washington; and even Binghamton State Hospital of New York. Monument For The Forgotten-Museum of disABILITY History, Buffalo, NY. “This bill is important and necessary in order to restore the dignity and personhood of the thousands of people who were incarcerated and died at former New York State Insane Asylums, (later renamed State Hospitals), Feeble-Minded and Epileptic Custodial Institutions. When the bodies of the inmates were not claimed by family members, they were buried in anonymous, unmarked graves, or, their bodies and brains were given to medical colleges for research. These forgotten souls deserve to have their names remembered and available to the public by means of a searchable internet database. Some of these deceased patients were undoubtedly United States Veterans who served during the Civil War, WWI, WWII, Korea, and Viet Nam, who suffered from PTSD and Shell Shock. Their graves deserve to be marked with the American Flag and honored like any other veteran’s grave. The list of these former New York State Hospitals includes but is not limited to: Binghamton, Buffalo, Central Islip, Creedmoor, Dannemora, Edgewood, Gowanda, Hudson River, Kings Park, Long Island, Manhattan, Marcy, Matteawan, Middletown, Mohansic, Pilgrim, Rochester, St. Lawrence, Syracuse, Utica, and Willard. The Feeble-Minded (Intellectual Disabilities) and Epileptic Custodial Institutions of New York includes but is not limited to: Craig Colony for Epileptics, Letchworth Village for Epileptics & Intellectually Disabled, Newark State School for Intellectually Disabled Women, Rome State School for Intellectually Disabled Adults & Children, and Syracuse State School for Intellectually Disabled Children. There may be more. 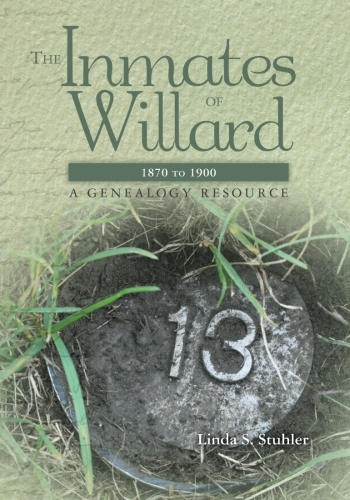 I had three objectives for writing the book: to make the names of the Inmates Of The Willard Asylum For The Insane (Willard State Hospital) from the U.S. Federal Censuses available to people who are searching for an ancestor; to share the old documents that I have collected and transcribed; and to make people aware of the thousands of patients who are buried in anonymous, unmarked graves. It is my hope that the names; dates of birth and death; and location of graves, of ALL former patients who lived and died in New York State Hospitals (Insane Asylums) and Custodial Institutions are released to the public so that these forgotten ancestors can be honored and remembered with dignity. Although this book deals with the specifics of Willard and its inmates; the laws, rules, and regulations applied to all county poor houses, city alms houses, and public and private insane asylums in the State of New York during the nineteenth century. It outlines the struggle between the county poor house system of caring for the insane and the eventual takeover by the state hospital system. The history of the treatment of people who were labeled as insane belongs to us all and should not be shrouded in secrecy. The names of the former Inmates of Willard can be found on the internet from such sources as the U.S. Federal Censuses, genealogy websites, historical documents, and books; everywhere except where they should be, on headstones in New York State Hospital cemeteries. My personal interpretations and transcriptions of the names from U.S. Federal Censuses for the years 1870, 1880, 1900, and 1920, including the Defective, Dependent, and Delinquent Census of 1880, are disseminated onto 199 pages located on this blog under the “Names” tab. Unfortunately, the spreadsheets did not fit into the book. 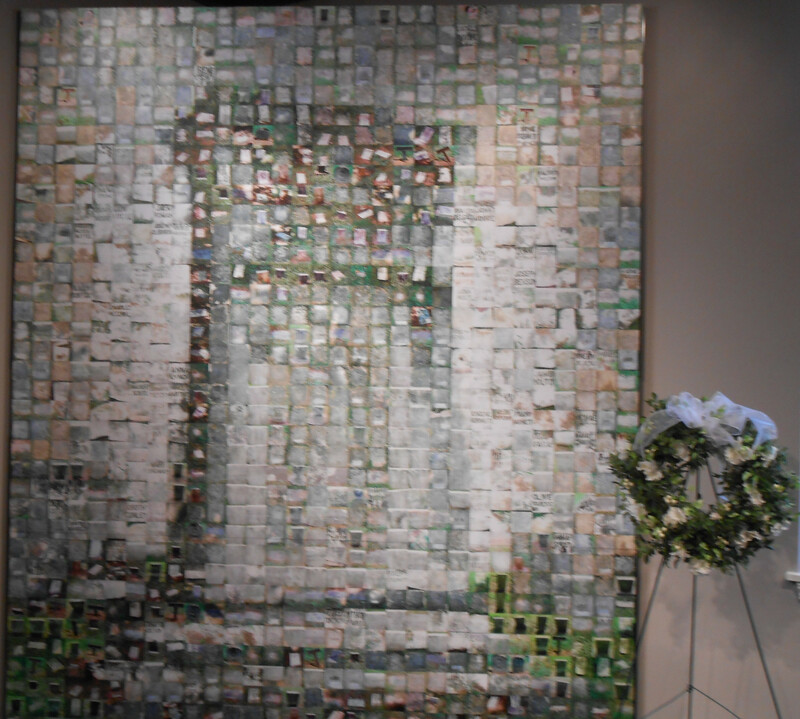 The censuses do not include every person who ever walked through the doors nor do they reveal who died there. 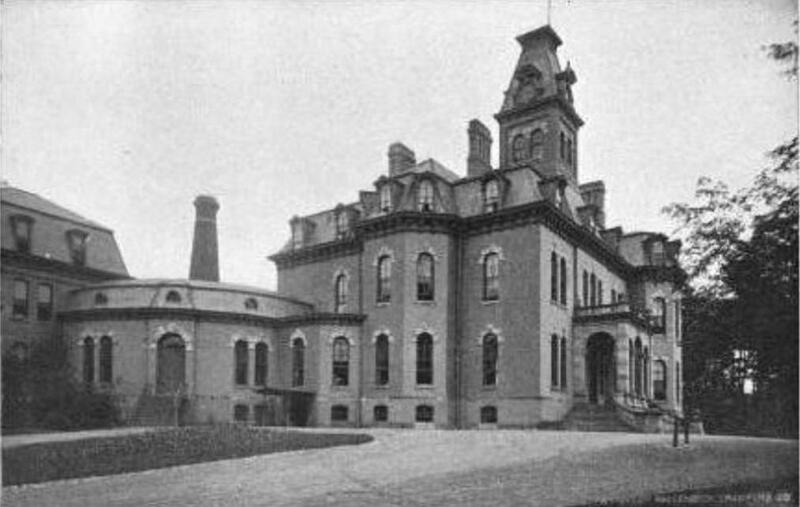 Willard State Hospital, Main Building, circa 1898. Willard and many other former New York State Hospitals still have patient medical records and photographs dating back to 1869. New HIPAA Legislation allows for the release of these historical medical records, and names, fifty years after the patient’s death but the State of New York and the Office of Mental Health chooses to totally disregard federal law. Form OMH 11 is what you need to obtain your ancestor’s medical record. You also need the cooperation of your family physician to fill out the paperwork. Descendants have no right to this information unless their primary care physician needs the health records to diagnose or treat a condition. The response to this inquiry will be sent to your physician’s office, not to your home. Please call the Greater Binghamton Health Center and talk with them directly with your questions. GOOD LUCK! New York State Office of Mental Health. Names of The Inmates of Willard 1870, 1880, 1900 & 1920. Willard Asylum Cemetery (Veterans Names) Military Section, Seneca County, NY. (Banner photo by Roger Luther at www.nysAsylum.com). What a lot of work, It must be a labor of love. It’s good to see you are staying busy. Hi George, Thanks for reading my blog. I hope you are doing well. Yes, it was and still is a labor of love. I hope that my book and this blog will help people find their ancestors. Awesome work, Lin! I am going to subscribe to any new posts and follow-ups! See you on the 30th. Thank you, Wendy! I appreciate you taking the time to read my blog. I hope it does some good. I am from Ky. & workd at Eastern State Hospital for 20 years. This is a psychiatric hospital in operation since 1824. Here in Ky. the death certificates come out 52 years. Last year 1960 death certificates & this year the state will release 1961 death certificates. I have listed 1911-1919, 1926, & 1945. I can look at the death years & pull every yeas death certificates & post on the ESH website. I think it would me marvelous to get medical records from ESH after 50 years but not real sure the state will let the medical records. All I can hope for 100 years. The NY physicians said, “Take us to court for deceased patients but not for the medical records”. I think the Ky. physicians will say the same as NY physicians. HIPPA also puts psychiatric or substance abuse treatment, maybe no time limit on the protection of psychotherapy notes. In the new HIPPA changes, I picked up any patients with HIV &/or Aids, this is a federal law for HIPPA. Being a retired nurse & one RN worked who has worked with HIV/Aids patients I agree with this statement. I see various years from 25, 50, 75,100, 125 years plus 2 generations & personal representative. If HIPPA would release medical records 1824 to 1920 that would 93 years, or 1930 that would be 83 years or 1940 that would 73 years, & 1950 that would be 63 years. Thanks Dave, That means a lot to me! Thank you for taking the time to look. Lin, I loved reading your blog; it was so well written !! Also, good for you fighting to get your relative, and everyone elses relatives medical records released who were admitted and died at Willard. I also printed and signeed you letters to our Senators. Couldn’t be prouder of your work. Hello…I have read some of your comments on Jon Crispin’s Notebook about the suitcases found at the institute. I noticed you mentioned this blog and waned to check it out. This is a very interesting and fascinating read about the people and the institute itself. What is the name of your book and where can it be purchased? Thanks for sharing and I would like to continue to receive your updates if possible. Thank you! The main building was torn down in 1995. There isn’t even a sign or monument that marks where it once stood. Hi L.S. Thanks for following our blog! We’d love to send you some free letterpress bookmarks (our new project for the new year), so please read here for details: http://peachfarmstudio.wordpress.com/ Much success with your new book and happy new year! Hi Linda, This is just a little update to let you know we’ve completed printing a letterpress broadside of the poem “Signs” related to your Willard Cemetary project. Here’s the related post: http://peachfarmstudio.wordpress.com/2012/02/25/final-peek-1-signs-a-poetry-broadside/ Oh, yes, and congratulations on your book! I look forward to finding a copy of the book. Thanks for your work. My g.g. grandmother was a patient at Willard Asylum intermittently from 1876 until her death in 1893. I believe she is buried there. I would love to find out more about her and what put her there, i.e. get her records! I am going to get the book ASAP and see what I can do. John Proesch, 3-10-12. John, Try this link for Seneca County cemeteries: http://www.rootsweb.ancestry.com/~nyseneca/cemindex.htm. The Willard Asylum cemetery is not in Fayette, Ny. It is in a different direction. The cemetery for Willard Asylum is on the grounds itself. Who said it was in Fayette? the question in the above comment. asked if it was the Willard cemetery, after it was stated his grandmother was buried in fayette, ny. I just simply stated it was not and gave my reasoning. I am sorry for the intrusion in this post. I don’t have any family that was placed in Willard to my knowledge., but I have a lot of patients that once lived at Willard and with the love of history and desire to better understand where and what my patients lives have been like I find this very interesting. Your blog and book show such dedication in honoring people who have a disease that is treated like they choose it. I wish our society treated people with a chronic mental illness as kind as they do those that are blind or crippled. An Outstanding Find ! We opened L.S.Stuhler’s book and discovered it to be a wellspring of information! Lin’s unparalleled research and documentation offers a wide angle view of mental health care in the 1800’s. More than genealogy resource, this book provides an unbiased look into the life of inmates past and the true origins of our mental healthcare system. Mary Parmentiier is listed as an inmate in 1900-she is an aunt-she was born in France-the records may tell me exactly where-is there any chance of chance of getting this information? Is there a similar group with info about patients who died at Kings Park?? My Great Grand Father died and (we believe) was buried at Kings Park in the 30’s. He was first committed to Islip State Hospital in about 1915 and by 1930 I find him in the Fed Census for 1930 John Francis Fleming. The State of New York is just the pits to get info from! Hi Kathleen, I’m hoping that this bill: S2514-2013 – NY Senate Open Legislation – Relates to patients interred at state mental health hospital cemeteries – New York State Senate, will be made law so that everyone will be able to have access to the names; dates of birth and death; and location of grave, of their family member. I believe that the records for Kings Park are stored at Pilgrim State Hospital. You could try writing them a letter. Good Luck!! Thank you for sharing this very important part of personal and community history. My mother was hospitalized at WPC most of my childhood. We met for the first time in the Chapin Bldg., age eight. As an adult Governor Cuomo appointmented me to the Board of Visitors. As President, I sadly had the responsibility of turning of the lights the day of closure. Once again, thank you for this important documentation and remembrance. Thank you! I hope you are available to answer questions. Linda, Eileen (The Joy of Caking) here. Can you email me your email address. I have a couple questions for you. Thanks! Hi Eileen, My email is: genealogyqueen@rochester.rr.com. I am trying to locate the burial place of an ancestor I am researching. He died on November 7, 1924 in the Willard State Hospital. He was born in 1852 in England. The two newspaper obituaries differ in his burial place. One said Lakeview Cemetery in Penn Yan and the other said Himrod Cemetery in Yates County. I have researched both cemeteries and cannot locate him in either one. I thought if I could find a copy of his death certificate or patient record, it might indicate exactly where his burial was. Any information you could give me would be appreciated. Thank you. This is giving me goosebumps. I am so glad to have found you. I have never reblogged somebody, but with your permission I would like. This is just an incredible addition to my review of The Suitcase Project. Thank you & Happy New Year! Very interesting stuff & great work. congrats. Not only am I a genealogy buff, I have a number of posts regarding WillowBrook State Hospital, on Staten Island where my brother grew up. i know there are many who cannot find out if their relatives died and were buried there, as those graves too, were unmarked. Hi Marlene, Thank you! If the bill gets passed all former NYS Hospitals and Custodial Institutions would have to release patient names, dates of birth and death, and location of anonymous graves. It will be re-introduced to the legislature sometime in January 2013. Oh My God! Thank You for letting me know. I will contact you Jon. Thanks so much!! The research you are doing is really great! This is a wonderful resource! Very informative. An elder sister of my great grandfather died in 1889 at New York City Lunatic Asylum on Blackwell’s Island now called Roosevelt Island. We have the death certificate but would be interested in finding out how she came to be sent there. I presume these records if they still exist are not available to the public? I’m so glad I found your blog and looking forward to reading it. I’m researching my own family history and wrote a post about my 4-times-great-grandfather’s stay in a psychiatric hospital in the late 1890s in Hessia, Germany. If you’re interested to take a look: http://nothingofthekind.wordpress.com/2014/04/01/my-dear-hugo/. I was able to have a look at his medical file in an archive and could copy it. So that’s the evidence I based my research on. The ‘asylum’s’ history went back to the Middle Ages and it still serves as a mental hospital nowadays. Back then, it was a self-sufficient institution. Though I have lots of records from Hugo’s file, I know little about the conditions he lived in. Only one thing is for sure – he felt left alone and simply wasted away. I’m thankful you’re writing about this important topic. Thanks kindly for sharing. Thank you for writing! I will take a look at your post. Hello, I’m hoping this is still active. I recently found out that my grandmother’s Uncle, William, was a patient at Central Islip State Hospital. Does anyone know what I can do to find out more about his condition and the circumstances of his death? He passed away in 1919 and is buried in the family plot. My great-grandmother, Maria Hazel, was transferred to Willard from the Livingston County Home in 1872, and as far as I know she died there. How does one get a death certificate or any other information about one’s relative who was an inmate at Willard at that time? Go to NYS Vital Records page under genealogy, print out the request for a copy of the death certificate, and mail it in with your check. It will take 3 to 6 months to get it. The NYS Office of Mental Health will not release medical records at this time. Thanks for writing and good luck! This is fascinating. In doing my geneology I found a Charles Beckwith on the NY State census of 1920 that lists him as living at the Utica State Hospital in that year. He did not die there, so I assume that he was released at some point. Are there records available for this as well? The NYS Office of Mental Health has the medical records but at this point, they are not available to the public. Has there been any progress on New York’s legislation to open up the State Hospital records to interested researchers? How can an out-of-state person like myself help put pressure on this issue? I’m keen on learning more about my 2x great aunt and 2x great uncle who were both at the Rochester State Hospital in the early half of the 20th century. To my knowledge, they lived most of their lives there and died at the institution. Apparently the aunt was mentally challenged (died in 1950) and the uncle had a severe heart condition (died in the 1920s), but that’s all I know about them. I think their lives should be known to their family, even if a few generations later. This is a very interesting blog and I appreciate your efforts! Thanks, Stephen! No, there has been no progress in NY. You can contact NY Senator Joseph Robach’s office and tell him your concerns! He sponsored the bill to get patient names released for anonymous cemeteries and graves. Medical records are another story. Linda, I’m curious to know what the arguments against updating New York State law to correspond with the 2013 HIPAA update are, or whether this is just a case of legislative inertia. Are their entities or parties that don’t want this change to occur? I live within Joe Robach’s district in Brighton, NY, so I’d be happy to write to him about this, but I’d just like to understand what’s going on before I do so. Thanks, Lin. That’s what I guessed the situation was, I just wanted to make sure. I have replied in another section of the website but noticed the blogs here look more current and the “inmate” section seems to be a better place for my comments so here are my comments again!.I was very interested on reading the comments of people trying to locate information about their relatives in Willard. My husband’s great-grandmother was a patient first at Matteawan, then in Rochester, and finally Willard. She died there in 1944. I sent a letter requesting a death certificate to the town clerk in Romulus. Even without a death year, she was able to locate the certificate for me. After being admitted in 1898, her son (my husband’s grandfather) became an orphan. The only facts he knew about himself were that he lived in New York City and was fostered out to Delaware. Through research we found this to be the Orphan Train. After his death, my mother-in-law and I started digging and found out lots of surprising information! Through the records found at the Children’s Aid Society, Five Points House of Industry and subsequently, the mental institutions, we found out that she was from Russia and was Jewish! What a surprise! The only known information we have about her are the few facts on the censuses from 1900-1940. Has anyone had success with getting medical records from Willard through the route of a living relative? I have the doctor’s form but have never followed up on it since I thought it would be a lost cause. My mother-in-law is thankful (she’s 93) that perhaps someday her grandmother will have her name attached to her burial number. We believe she is buried in the Willard Cemetery since she didn’t have any known at that time living relatives. Her death certificate says Willard for the burial. Is the cemetery’s burial name for an inmate something that is readily available? Please keep up the good work! I have just ordered your new book; I have read The Suitcases Left Behind and am eager to read your book too. J. Bell – You mentioned Five Points House of Industry. I am looking for records for an inmate who was there in 1870. Do you know where the records are stored? Thanks so much! This is a remarkable journey of exploration. I am fascinated by this work. I happened upon your site while exploring my family’s genealogy. My great grandfather was Dr. William Mabon, who was the superintendent at Willard State Hospital for close to two years from 1895 to 1896. He was then transferred to Ogdensburg as superintendent of the St. Lawrence State Hospital. He spent 7 years there before becoming President of the State Commission in Lunacy for close to three years during 1904 to 1906. He then became the Superintendent and Medical Director of the Manhattan State Hospital for 12 years before a heart attack in February of 1917 ended his life at age 57. I have read most of his writings and would surmise that he would be happy with any work that could demystify mental illness. He championed removing the terms defective and lunacy and was instrumental in changing the psychiatric wards and institutions throughout the state to be renamed “hospitals”. His daughter (my grandmother) took copious photographs of their time at both Willard and Ogdensburg and I will pour over them to see if there is anything of interest for your endeavor. Dear Susan, So interesting about your grandfather. My great grand aunt, Georgia Edgerly, was in Ogdensburg from 1898 at age 25 to her death there in 1911. Of course this was never talked about in the family (her sister was my great grandmother and I spent a lot of time with her) and I still have no idea why she was committed. If you have any Ogdensburg photos you woud share with me I’d be delighted. Thanks. This is some interesting stuff about Willard.Our mom was treated there a few times that I can remember years ago. I think it’s amazing that there are people out there who care about the one’s that are deceased. My Great Grandfather, David McCartney and Great Grandmother, Margaret Martin, both worked at Willard. They were married in 1874 and I have the “recommendation” letters from the asylum when they resigned their employment. There is a tremendous amount of info here…but not sure if any relates directly to my great grandparents. Any help on narrowing it down would be most appreciate. And, if you, or anyone else would like scanned copies of the letters just let me know. I WOULD LOVE IT!! Please send the copies to: genealogyqueen@rochester.rr.com. Thank You, Ed! I too live in Hilton and have my own story of a relative who was a patient at Willard and how I received information on him. I would be most appreciative if you would email me and we could talk. Thanks for your consideration in this matter. My great-grandmother, Maria/Mariah Hazel, was transferred to Willard from the Livingston County Poorhouse in 1872 ( she was variously labeled a lunatic or an idiot, and she ran away once and was returned), and I am trying to find ANYTHING on her after that date of 1872. I am going to try the town clerk of Romulus for a death certificate, but I would be grateful for any other suggestions as to where to go, look, write, call, e-mail, etc, to find out about her. Her son, my grandfather, John Hazel, was with her some of the time in the Livingston County home but was fostered out by age 11, and there has never been a single mention of her after that transfer in 1972. I LOVE TRACING FAMILY NAMES SO I DO CEMETERY SEARCH’S WHEN I AM BORED WITH HOUSE WORK! IT’S VERY INTERESTING AND IT’S LIKE LEARNING HISTORY ALL OVER BUT LIKING IT THIS TIME! IF I SEE OR LEARN OF ANY THING THAT HELPS YOU ALL I WILL LET YOU ALL KNOW! THANKS FOR SHARING YOUR HISTORY WITH THE PUBLIC! I LIVE IN OREGON! i JUST READ OVER MY OCTOBER 22ND COMMENT AND REALIZED I MADE A TYPE IN MY E-MAIL ADDRESS…..IT IS NOT VIVIANERA1…IT IS VIVANERA1@YAHOO.COM ( NO i AFTER THE 2ND V) i HOPE i WILL HEAR FROM SOMEONE ABOUT MY GREAT-GRANDMOTHER MARIA HAZEL WHO WAS AN INMATE AT WILLARD FROM 1872 TO ?????? Lloyd brown, I may be related to him, do you have any more information? R17B in census 133 in your list. The way this law was put together is a complete was put together is ludicrous. It presupposes that people will somehow know a patient was interred at a State Hospital. But if you don’t know and want to find out, there’s no mechanism for that short of the 50 years past death of the patient. “Privacy” seems to be a non-issue. The focus should be on the living. The database should be put online AND the State should begin placing named markers on these graves even without the requests from relatives. Totally agree! I believe that the Office of Mental Health is blocking this effort to hide their neglect and reckless disregard for how they handled these abandoned cemeteries but I’m done banging my head against the wall. They don’t listen, lawmakers don’t listen, other states have put lists on the internet as I have shown. It’s an excuse that they will be sued, total BS! Oh, well. I tried. My Aunt, Jean “Jeanie” Preston, committed suicide at Willard by hanging herself with a bedsheet in the early ’70’s. I was just a kid but remember her…all of us kids loved her because she was so fun to be around. She liked to play hide-and-seek and laughed so hard when we “found” her! I’d like to find her again. 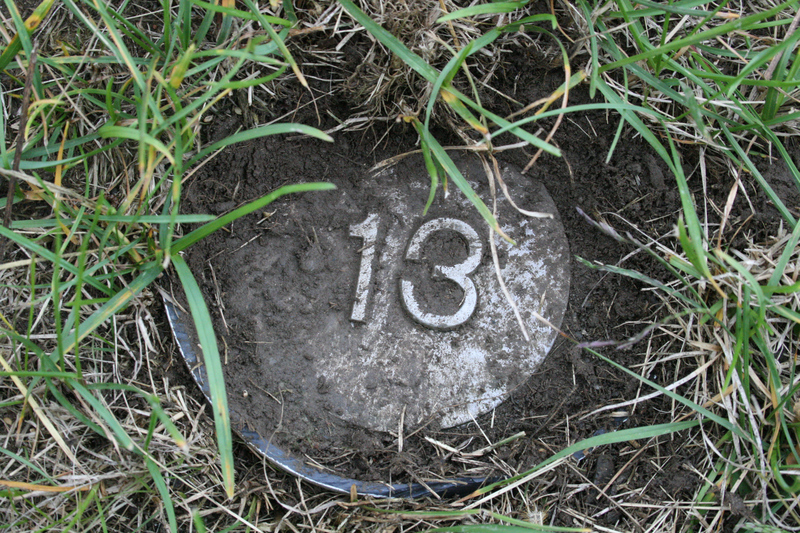 Would it be possible for me, as a family member, to sue NYS to find out what “number” she is at the graveyard? Does anyone know if an effort was ever made to retain legal representation to file a suit against the NY State Department of Health and Hygiene over access to State Hospital Records? I was an inmate at Willard twice.1997 2001.place is haunted.they use to kill patients there.you can hear screamming and complaining at night when every body slept.They even see a little girl in a white dress running around full of blood.The scholl building is half abandoned.i know because i snuck into rooms to smoke cigarretes.empty rooms.you can feel the vibe of former people there.im not supersticious but its a fact.you have to be there to experience what im. Talking about.There was alot of abuse going on there.Even murder.patients that were tough to deal with would get beat to death. Hi I want to truly thank those who initially found the suit cases. I read the book and really enjoyed all the stories. God Bless you. I plan on touring the Museum. That would be Darby Penney, not me. She is easy to contact online. Linda, I wonder if it might be possible to receive your Willard census name lists in a format other than PDF? It’s funny that you say that. I have the original census sheets that I downloaded long before I wrote the book. I was thinking of posting them. What don’t you like about the PDF files?